This edition is LIMITED to ONLY 231 in the world! 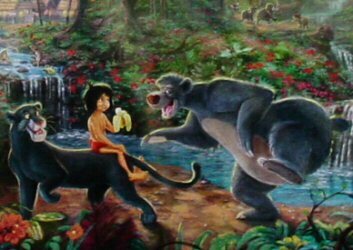 There is little doubt that The Jungle Book remains one of the most delightful and warmly received of all of the Disney animated films. 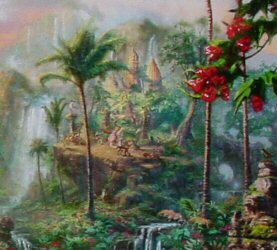 This re-telling of the classic Rudyard Kipling tale is the last film that Walt Disney was involved with both in terms of production and writing before his death in 1966. 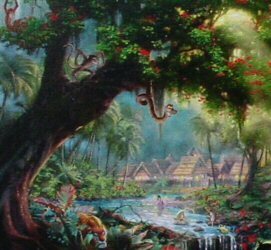 “Let’s have fun with it,” Walt was often quoted as saying to his animation staff about their efforts on the film. 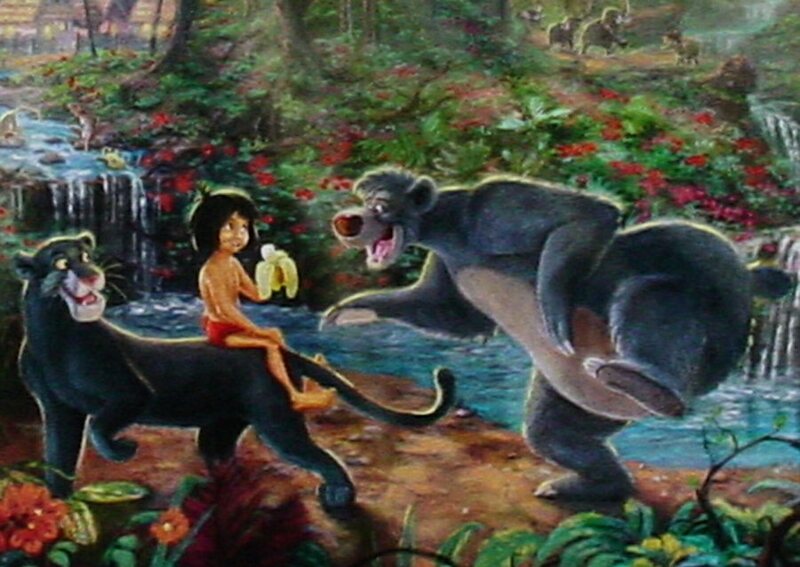 And that is exactly what the talent pool of The Walt Disney Studios did with the story of Mowgli, the Indian jungle boy raised by wolves, befriended by bears and panthers and stalked by pythons and tigers. 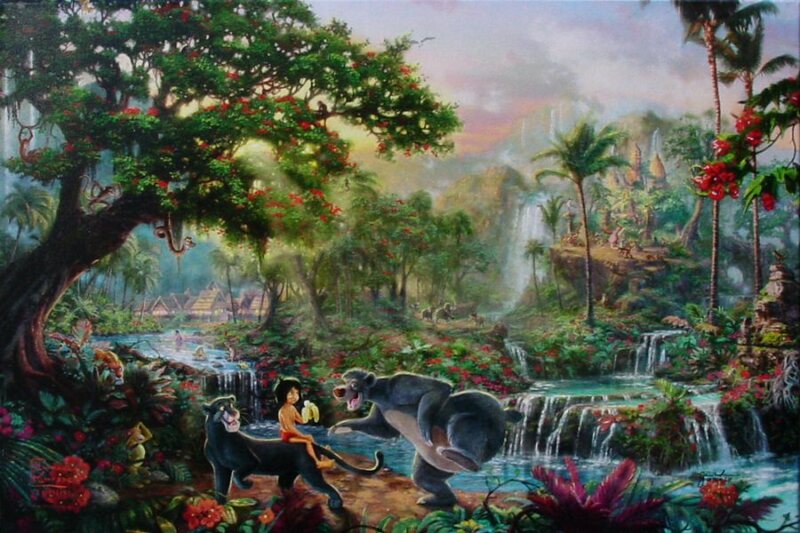 But beyond Walt’s simple desire, The Jungle Book also set a high benchmark in relation to animation, musical score and storytelling to which all of the Disney cartoon classics aspire. These original intents of Disney inspired this adaptation by Thomas Kinkade Studios. 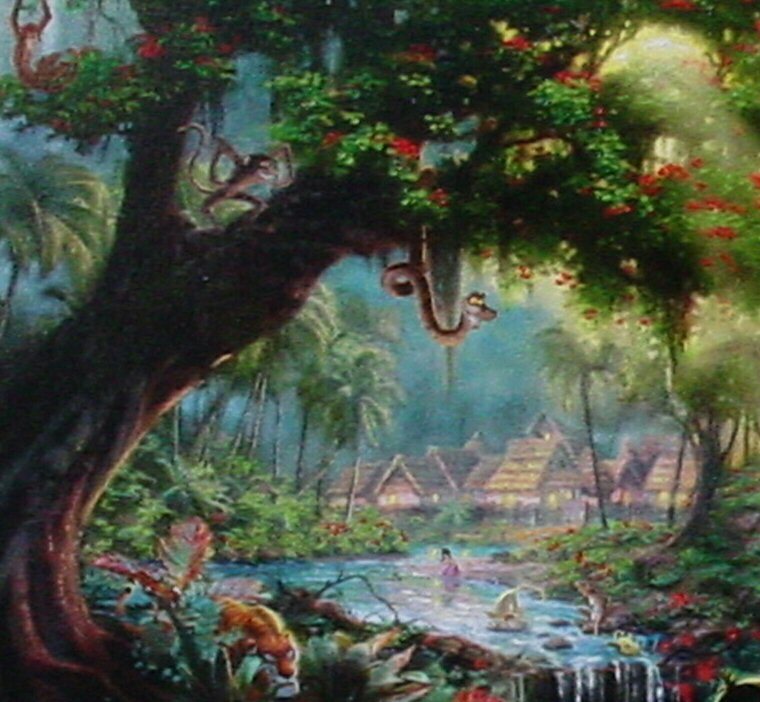 Thomas Kinkade typically adds many "hidden objects" scattered about in his paintings... if you look closely, you can find King Louie, 21 Monkeys, 4 Mickey Ears, and characters from all nine Disney Dreams Collection images Including Cleo, Tinker Bell, Cogsworth, and more. ++++ Rare! This Edition is LIMITED to ONLY 231 in the world! 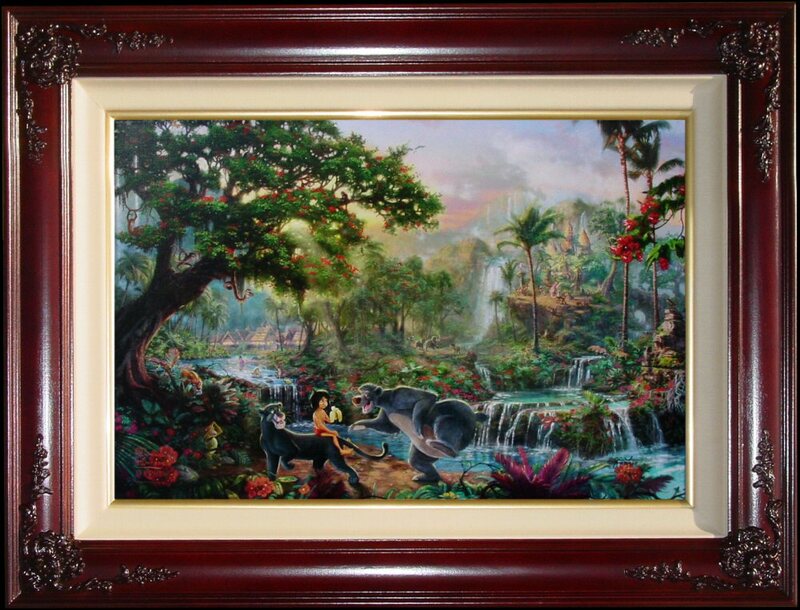 "The Jungle Book ~~ Thomas Kinkade"